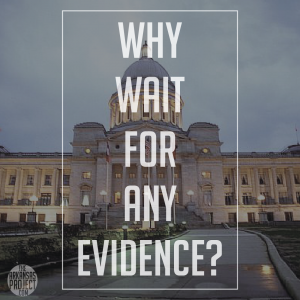 Why Wait for Any Evidence? You often hear the complaint that not enough people are involved in politics. In the leftist magazine The Nation, for instance, you’ll find a story claiming that “political apathy threatens our nation.” Yet we routinely see widespread demonization of the relatively few private citizens who get involved in the political process. The Koch brothers are probably the most glaring example of this. They support a wide range of conservative, libertarian, and even liberal causes. Many of the checks they write prop up charitable or educational enterprises which are essentially non-political. In return for doing their civic duty, they are repeatedly attacked by politicians like Senator Harry Reid. We see something similar here in Arkansas. Certain members of the press are making hay out of the Mike Maggio situation. Ex-Judge Mike Maggio is one of many candidates for public office who have received donations from a prolific political donor, Michael Morton. Maggio recently signed off on a plea-bargain agreement in which he confessed to being on the receiving end of bribery. Now some reporters are trying to tarnish the reputation of anyone who received campaign funds from Morton. 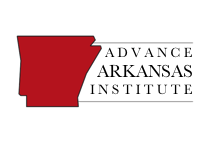 Multiple journalists (some of them affiliated with the left-leaning Arkansas Times) have intimated that there is widespread judicial corruption based solely on this one incident. 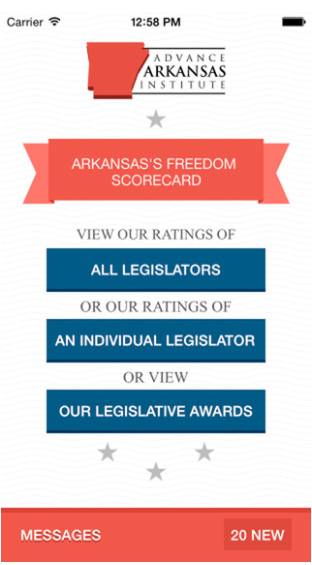 It is interesting that in the Morton case, there is a rush to judgment for anyone who is remotely connected to him, especially among liberal Arkansans. This is notable because Morton hasn’t been convicted (or even charged) with anything. Instead, a self-confessedly corrupt judge has claimed in his plea bargain that Morton bribed him. I wonder how many of the same people condemning Morton expressed skepticism about the official law enforcement line when it came to, say, the Michael Brown situation. I bet we could find a few “Free Mumia” stickers on the Priuses of those expressing sanctimonious platitudes about Morton and those he supported. For the Arkansas Times, an accusation ordinarily isn’t enough to demonstrate guilt; but when a rich white man is the defendant, the rules seem to be very different. What, in fact, is the evidence that Morton committed any crime? As far as I can tell, it consists solely of the claim, made by a confessed criminal, that Morton sent a message (through an intermediary) that his campaign donations were made in exchange for a favorable ruling by the judge. In the plea agreement, however, Morton’s intermediary told Maggio that he had the support of Morton “win, lose, or draw.” The plea agreement says that Maggio understood this to mean that Morton expected Maggio to rule in favor of him in exchange for a donation. Perhaps my reading comprehension could use some improvement, but Morton’s message seems to say the exact opposite to me. I suppose if I ask Maggio what the weather is like today, he is welcome to interpret this as an invitation to commit a criminal act, but I think it would be unfair to hold me responsible for someone else’s difficulties in hearing or reading comprehension. I’m all in favor of rooting out corruption. But I’m not in favor of using the court of public opinion to convict anyone who made a campaign contribution — even if the contribution went to someone who, it turns out later, should never have been anywhere near public office. If certain contributions can be proven to have corrupted the political process, then we should condemn both the giver and the taker. But any judgment we make about any particular person must be made about what that particular person did, and not based on anything else. And it is unfair to condemn Morton based on nothing but the word of an ethically-challenged judge making a dubious claim about bribery. Federal prosecutors have a vast amount of power. They also have the advantage of working with vaguely-written federal law, which gives them wide leeway to make even the flimsiest of cases stick. If Morton did bribe Maggio, why isn’t the federal prosecutor, Patrick Harris, going after him or his associates? Until Harris takes action, it would serve everyone well to withhold judgment. Perhaps I shouldn’t be surprised at this urge to create a devil figure. There is a paranoid strain in American politics, something that has been recognized since at least the days of Richard Hofstadter. People love thinking that politicians they don’t like are being controlled by some behind-the-scenes puppet masters. As someone who has worked in Washington, D.C., I can assure you that no one in that town is competent enough to pull off even a fraction of the schemes that the overheated conspiracy theorists on the right or the left imagine. I’m not defending Maggio. I’m not even defending Morton or his associates, beyond a call for people not to jump to any conclusions. You’d think that people would refrain from making snap judgments about someone who has not even been charged with a crime. You’d also think that people would refrain from condemning people who took campaign contributions from this person (who, to repeat, has not been charged with any crime). But in today’s world, it seems many people are prepared to condemn someone based on little or no evidence of wrongdoing – as long as such a condemnation fits neatly with their preconceived political notions.